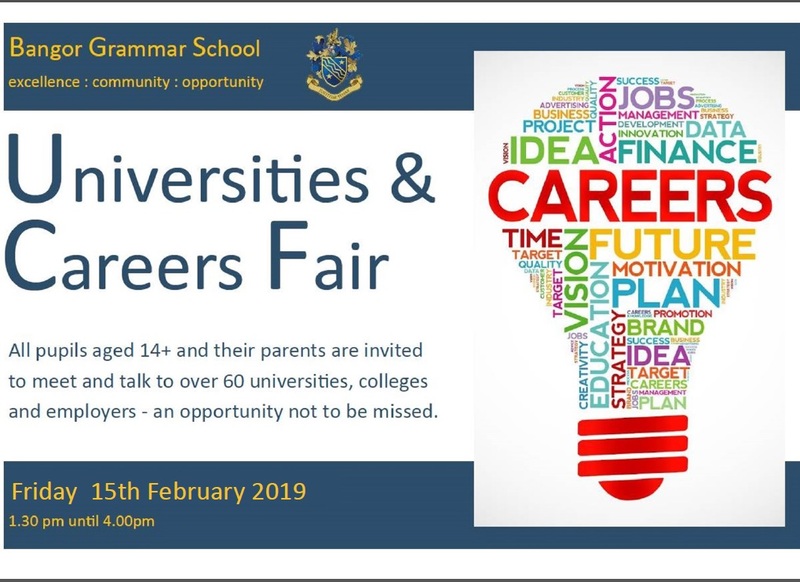 On Friday 15th February, Bangor Grammar School will be hosting a University and Careers Fair for schools in the Bangor Area Learning Community. Pupils in Years 10-14 from Glenlola Collegiate are invited to attend this event, which will run from 1.30 – 4pm. To facilitate their attendance at this event, pupils in Years 10-14 (only) will be excused from their period 4 and 5 lessons on this date, finishing at 1.30pm. Please note that pupils in Years 8 and 9 will remain in their scheduled afternoon classes, finishing school at 3.30pm as normal. 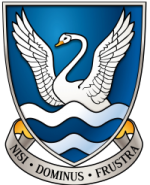 Parents and guardians of Glenlola pupils are also warmly invited to accompany their child(ren) to the Careers Fair. At this event, you will have the opportunity to speak to representatives from a wide range of universities, Further Education Colleges, employers and charities from across the UK and Ireland. In addition, there will be a series of talks held on study and careers opportunities in a range of sectors. Please find attached a flyer for the event and a list of the participating contributors for your reference. We look forward to seeing you there and trust it will be an informative and enlightening afternoon.